Combined Fire & Burglary Protection in one safe. EN 14450 Certified & Labelled for Burglary Resistent. V Bolt System maintain Door integrity during Physical attack & Fire. Established in the year of 2009, we SR Enterprises are known to be one of the most efficient and trusted organizations of the industry, passionately affianced in trading, wholesaling and supplying a vast array of Lockers. 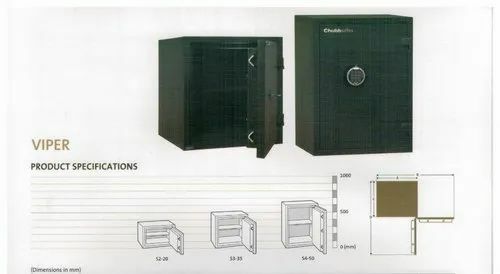 Product range offered by us includes Safety Lockers, Industrial Lockers, Banking Lockers, Safety Door Lockers, Safe Electronic Lockers, Manual Lockers, Safe Deposit Lockers, High Ele Testing Safe Lockers. These products are designed and developed under the guidance of best industry experts considering only best grade components at our vendors end.